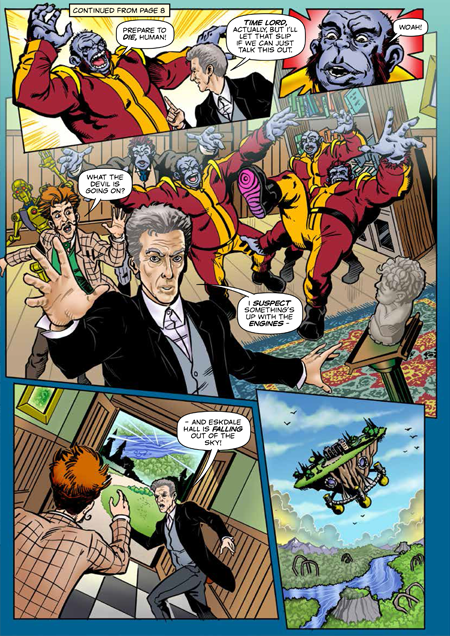 Issue 14 of Doctor Who Adventures is out now, and I've written the comic strip, SKY MANOR! 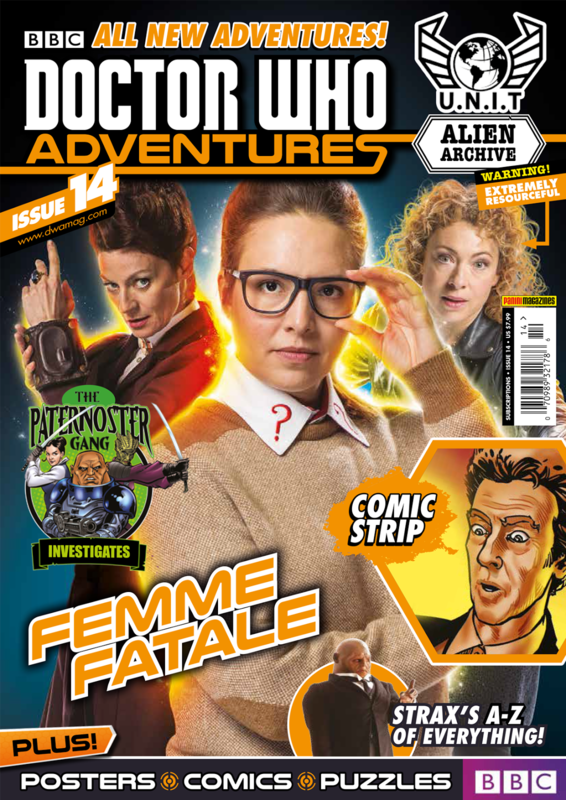 The story sees the Doctor having to play detective and find a missing child on a mansion high above the clouds. As you'd expect, the house starts to fall and he gets chased by angry gorilla-themed aliens. 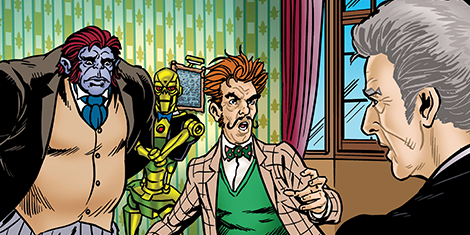 The talented Russ Leach and John Burns are on art and colour duties. Doctor Who Adventures 14 is available from your local supermarket or newsagent, or you can find info on how to subscribe on the official website.